One person was killed and several others wounded when an explosion ripped through a hospital in the state of Texas. In an area of the Gatesville hospital under construction, the blast occurred around 2.30 pm local time. Given the strength of the blast and the aftermath (captured by many on social media), the hospital itself as well as nearby nursing homes were all evacuated. In certain areas of Gatesville, power was temporarily lost. "I got hit in the head by a light fixture, but I'm okay." 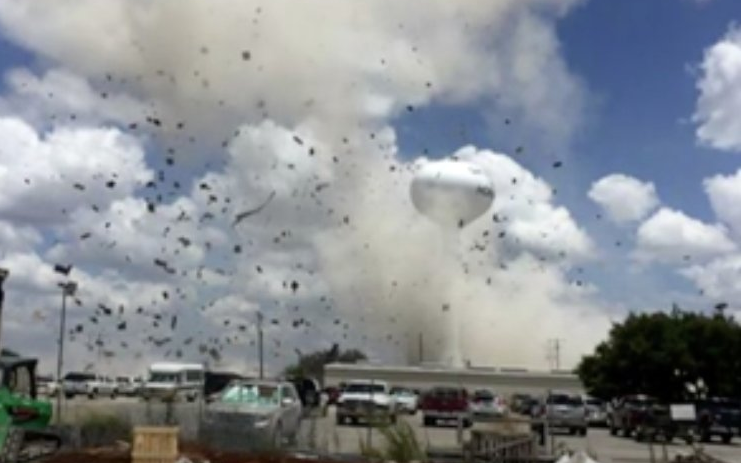 The Coryell Memorial Hospital could be seen on images spread on social media as it was covered in black smoke. Investigators claimed that they didn’t rule anything out at this point but their attention was at first pointed towards a boiler room in the area under construction. The Coryell County emergency management co-ordinator, Mr Bob Harrell, explained that some of those injured received severe burns and were immediately taken to the Parkland Memorial Hospital's burn unit in Dallas which is located some 110 miles to the northeast of Gatesville. According to Mr Harrell all workers are accounted for but a search dog team would be brought in to examine the wreckage of the wing that was being built to the hospital. Furthermore, Dr Jeff Bates, who works as the hospital's medical director, declared that “three or four" of the wounded were critically injured, indicating that the death toll could rise. Strange Boiler Rooms boilers being installed and under construction never are under pressure? Or were they pressure testing it (AIR) and exceeded the PSI safety?